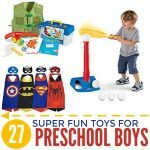 Looking for a fun boy craft? 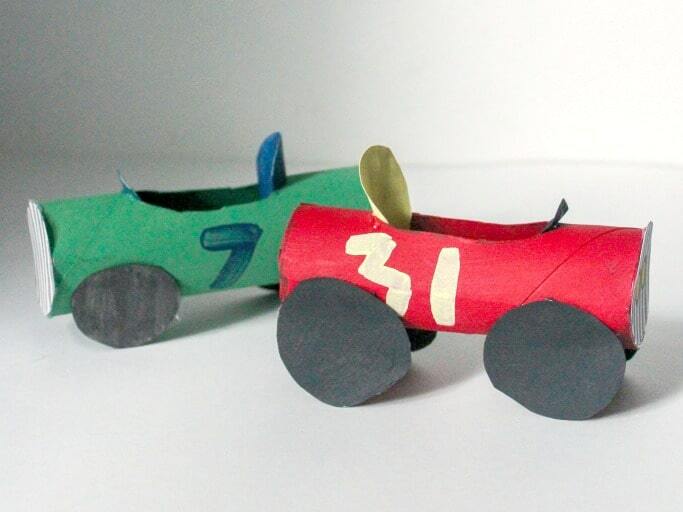 Okay, it’s not just for boys, since I loved cars as a kid, too. 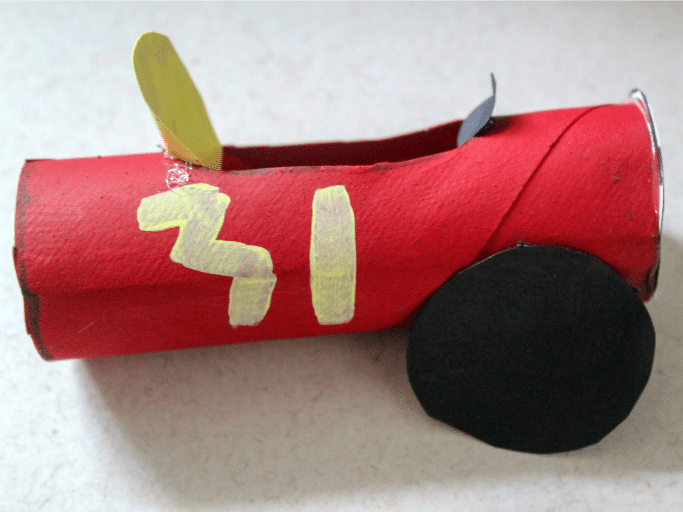 But this toilet roll car craft for kids is so much fun to make! You need no special materials at all. 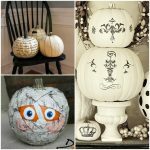 If you have toilet rolls, paint, and glue, you can make a few of these in no time flat. So, my kiddo has recently gotten the idea that he doesn’t want to do some crafts, which are deemed too girly. 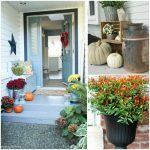 Things like butterflies are now out, so I’ve been looking high and low for inspiration for more “boy-friendly” crafts. This is the perfect thing! Just grab some toilet paper rolls, paint, paper plates, glue, scissors and paint brushes, and you’re all set to go. Don’t forget to put down some newspaper or craft paper over your work surface, though. This one can get messy! *Note: Please remember that kids should always be supervised or have adult help when using a hot glue gun. If you’re crafting with littles, use school glue instead, and leave lots of drying time between steps to ensure that the pieces are secure. 1. 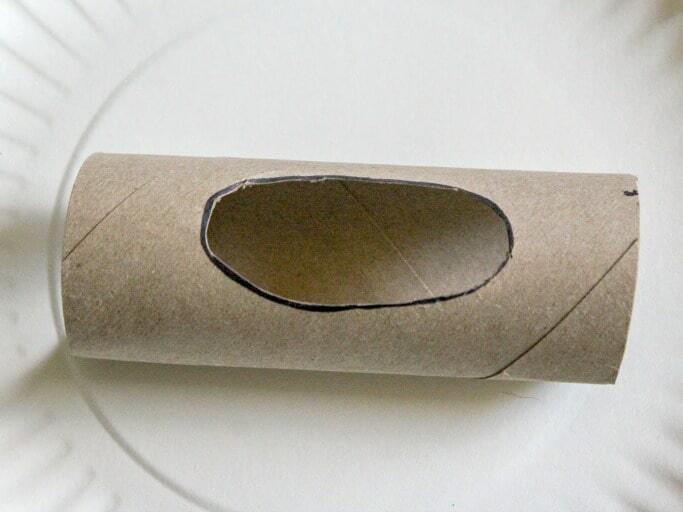 Draw an oval in the middle of the toilet paper tube. 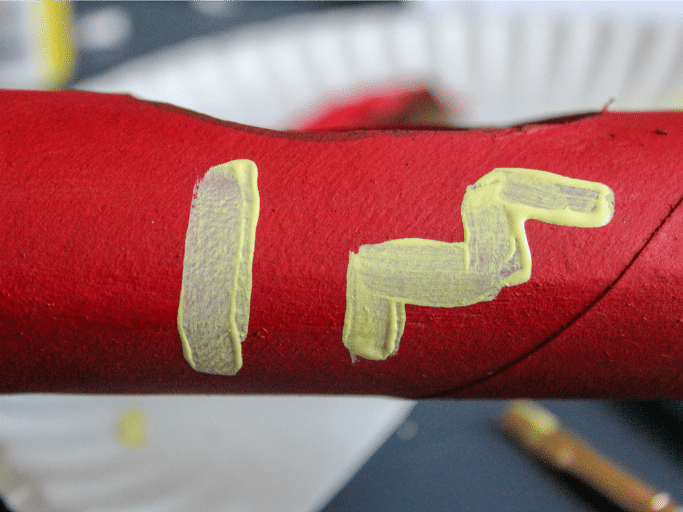 (If using a paper towel tube, cut it in half first.) 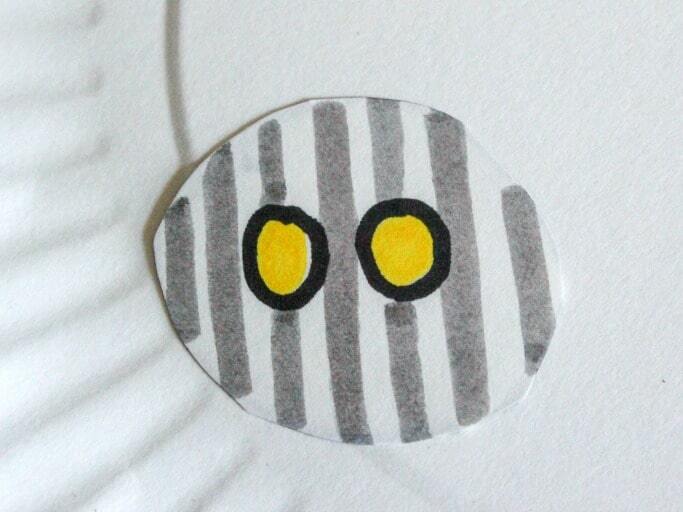 Carefully cut out the oval area. Little kids may need help with this step. This will be the area for the driver’s seat. 2. 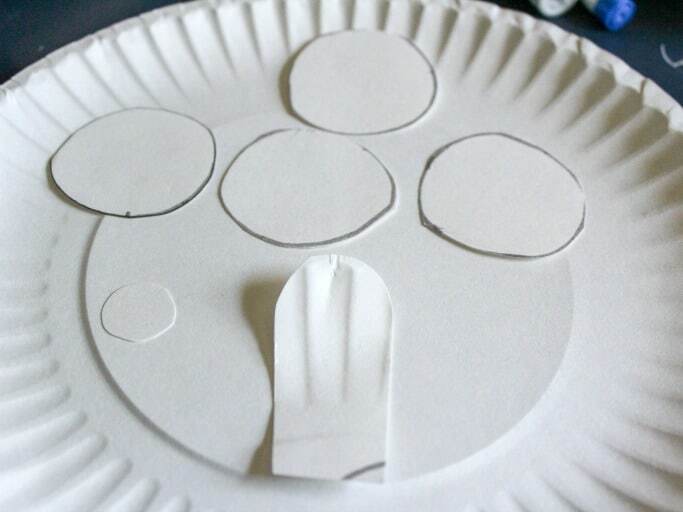 Trace a circle around one end of the tube onto a paper plate, and cut it out. Decorate it like a car grill using markers or paint. 3. 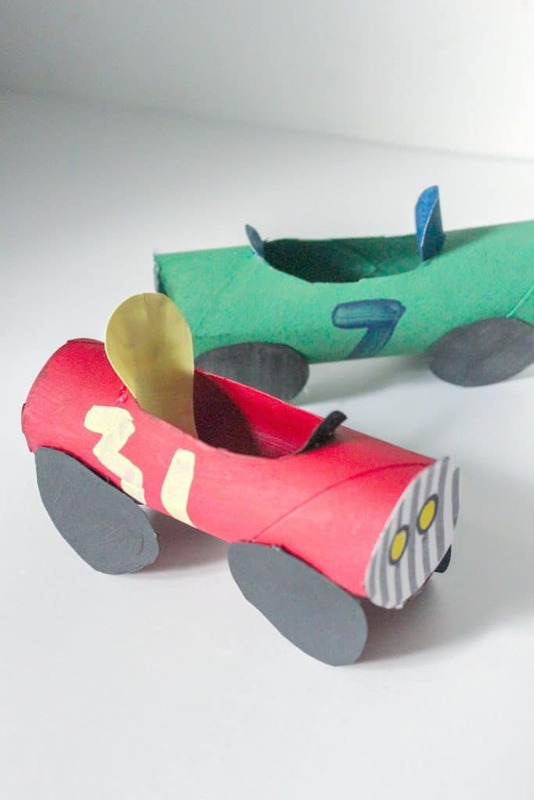 On a paper plate or thick cardstock, cut out 4 circles for the tires, a small circle for the steering wheel and a seat shape. They don’t have to be perfect! 4. It’s time to paint the pieces! Tempera paint is recommended since it’s easily washable if your kids get it on your work surface, their hands, or their clothes. Paint the car body, the tires, the steering wheel, and the seat. 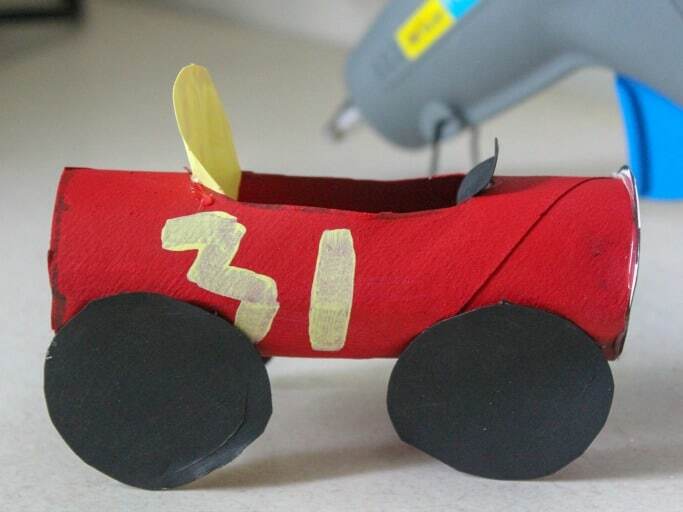 Make sure you paint both sides of the tires, steering wheel, and seat. Decorate the side of the car, if you’d like, with numbers or designs. Allow drying before assembly. 5. Glue the grill to the front of the toilet paper tube. It should fit nicely even if it’s not perfectly round, but you can trim around the edges if needed. 6. Glue on the 4 tires to the bottom of your car. You will want your car to kind of stand a bit. 7. 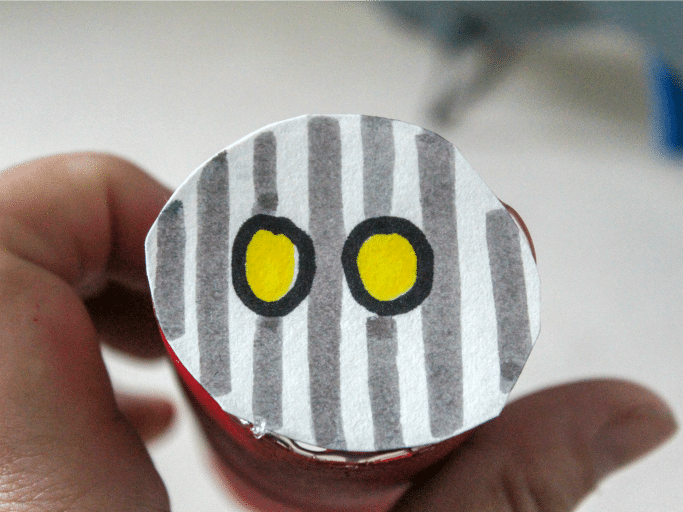 Place a small dab of glue on the steering wheel, and attach it to the front of the oval cutout area of the tube. Place a dab of glue onto the driver’s seat, and slide it into the back of the oval cutout. You’re done! 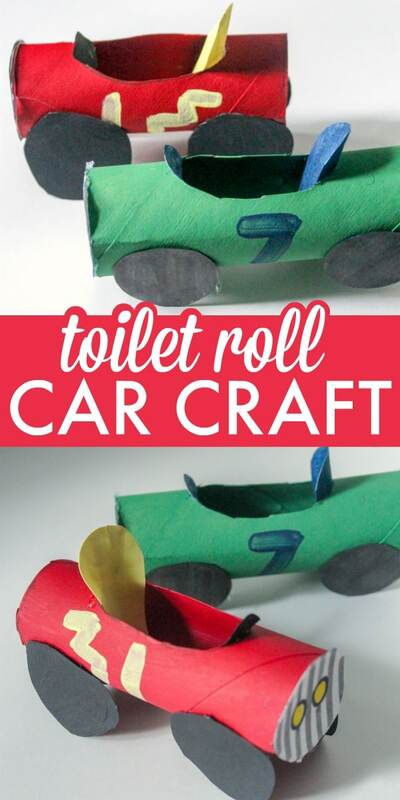 Now you’ve completed your cute little toilet roll car craft for kids, and it’s ready to be put on display.